1. 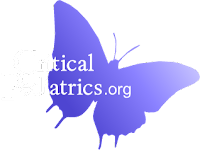 What is the most common congenital heart defect with a left to right shunt causing congestive heart failure in the pediatric age group? a. Atrial septal defect is the second most common congenital heart defect in children and adults. b. Patients with atrial septal defects may have an embolic stroke as the initial presentation. c. Most children with atrial septal defects are asymptomatic. d. The most common yet least serious type of atrial septal defect is an ostium secundum defect. e. The most common yet least serious type of atrial septal defect is ostium primum defect. 3. What is the most likely age an infant with a large ventricular septal defect will begin manifesting symptoms of congestive heart failure? 4. What is the dominant mechanism with which infants and young children increase their cardiac output? c. Central pulmonary vascular congestion.